Turns out that lots of people like seeing these birds as much as I do. 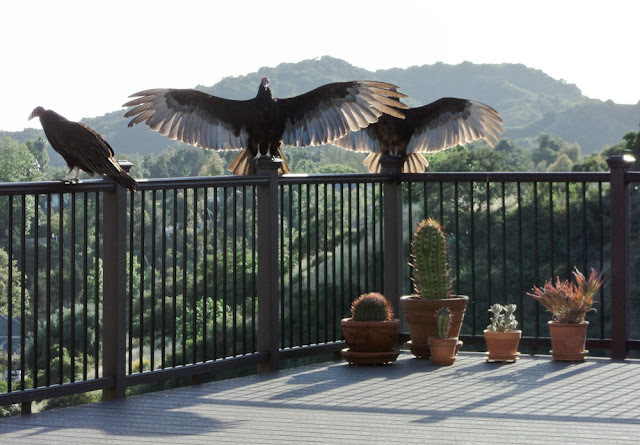 So, today we get a photo of not just one, but three turkey vultures on the railing. Thanks again to our guest photographer, Doug Elson, for allowing me to share these photos. Oh my, the closest I've come to one (or three). Wow what an awesome sight that must be close up. Not many people are lucky enough to see something like that.